Really quite excellent, Divided Cities covers a tremendous amount of ground in a relatively small number of pages. Exploring five cities divided by conflict – Belfast, in the wake of the Troubles; Beirut during the Lebanese Civil War; Jerusalem between 1947 and and the Six-Day War (and again after 2003, in an epilogue); Mostar in Bosnia, caught between Serbs and Croats; and Nicosia, Cyprus. The divisions and partitions take many different forms: the “Green Lines” that split Jerusalem and Beirut in two and which continue to separate Turkish and Greek halves of Cyprus, the no-man’s-land of the Boulevard of National Revolution in Mostar, and the “interface barriers” erected as needed to separate quarrelsome and violent factions in Belfast. Each city is given a chapter covering both the history of the tensions and fighting leading to its partition (and subsequent reunion, in some cases), including some much-needed and illustrative maps. I’ll confess my own prior ignorance of much of the details around these specific conflicts, and for filling in those gaps alone, the book was worth it (e.g. the 1990s Balkan wars, the Lebanese Civil War, Israel between the end of World War II and the Six-Day War, the Cypriot independence struggle). But you also begin to get a sense of these cities caught in the middle of something larger, the innocent civilian populations who are made to suffer for another’s cause, the neighbors and friends who turn on each other in the midst of civil wars and sectarian uprisings. Maps of the five cities covered in Divided Cities. The last few chapters attempt to discern patterns and commonalities across these disparate cases, at times leading to counterintuitive findings. In Belfast, for instance, individual barriers are still erected by request in areas where Catholic and Protestant enclaves meet. Rather than see the design and construction of them as somehow legitimizing the sentiments that lead to them, urban planners and managers ought to recognize that these really are desired by residents for a sense of security, and that this is one of the most fundamental casualties of conflict. The need for a wall is not something to argue with, but rather to engage with and shape and turn into something more than yet another dead zone on the periphery (Divided Cities is accompanied throughout by haunting photos of the empty border zones between enclaves and the deserted, formerly thriving central mixing areas where they once met). This tension is explored in depth. Planners fear their work becoming “politicized,” but as can be seen even in the peacetime west, that’s almost an inevitability regardless of specifics or location. As one planner in Mostar said, “planning is always a compromise between a profession and the politics – 50 percent approximately…however, today’s politics outweigh the profession. Its share in deciding today is 95 percent and above.” The key for the planner in a divided city is to get one’s hands dirty; to not refrain from participating in the design of the built environment, however far from ideal it might be. Many of the cities featured in this survey were divided as a result of British imperial withdrawal. Britain’s colonial preference of favoring a chosen ethnicity or other particular group – at the expense of the others – is well-documented in Jerusalem and, of course, Belfast, and London’s dithering over the Cypriot crisis coupled with an inability to broker a compromise led to the island’s inhabitants taking measures into their own hands. Britain’s persistence in devising constitutions and legislatures predicated on ethnic quotas and representations led to an emphasis on in-group/out-group identity that did not exist in the same way prior to their rule. The legacies of empire continue to last and to linger over these divided lands. Other similarities emerge, at times verging on the repetitive, but the point is an important one: partition leads to, among other things, a senseless duplication of infrastructure and services, to second fire and police and school and transport and sanitation systems that further drain the already-reduced resources of a city in recovery. But there is also grounds for hope. Nicosia’s sewage system is impossible to duplicate for a separate northern and southern system, and so a single unified treatment plant and sewers are run jointly by Turkish and Greek engineers. Finding room to cooperate where possible – particularly on a local level, where politicians and leaders are less beholden to national sentiments and resentments – is key to overcoming hatreds and unnecessary redundancy. But this doesn’t come naturally to a divided city. The lessons of Divided Cities are as relevant as ever. The book was written during the occupation of Baghdad, when US forces erected their own barricades and insisted on religious quotas for the Council of Representatives, ascribing much of the violence in the country to a Sunni-Shia divided (rather than other local causes). With cities frequently cited as the next major battlefield for the militaries of the world, finding a new approach without unnecessary partition will be key to avoiding new sectarian violence. But thanks to this book, we can begin to chart a path forward. 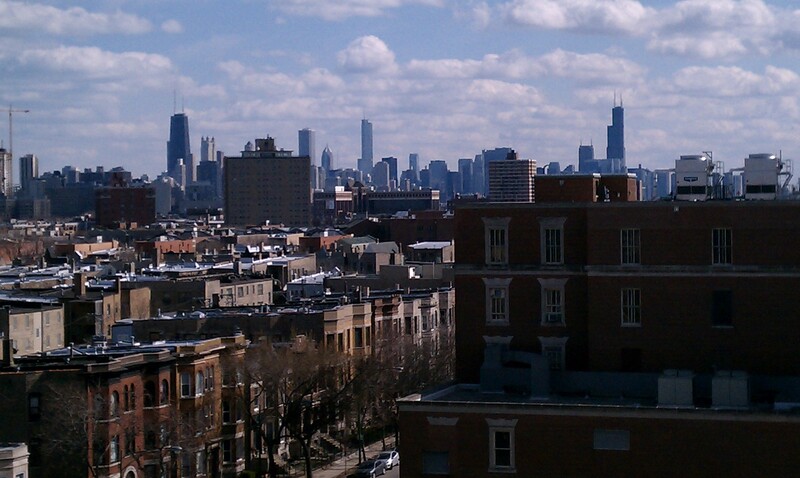 The Chicago skyline, as viewed from Wrigley Field looking south, April 5, 2011. Photo by the author. I meant this to be a stand-alone post on Chicago, but life circumstances will also turn this into a farewell to that most quintessentially American city. Things have necessitated a homecoming, but I see it as being for the best. Yes, I have now departed Chicago and returned home to Boston for now. Career-wise this is almost certainly the right move; the kind of work I want to do is based pretty much entirely on the East Coast, and now I’m that much closer to potential employers, etc. But I got a pretty awesome trip out of it, somehow accidentally theming it around baseball. Did you know that for some games tickets to Wrigley Field are as little as $8? And then our road trip route took us past Jacobs Field in Cleveland, past the sign for Cooperstown (sadly, summer hours had not yet begun), and home to Boston, where Sunday night I was able to watch at Fenway as the Red Sox won their first (and to-date, only) series of the year. Against the Yankees, no less. But I digress. Lindsay just cowrote the book Aerotropolis: How We’ll Live Next with John Karsada, which at its most basic is about the coming airport-centric design and planning that will determine the future of cities and the course of twenty-first century urbanism. But even that mouthful of a description doesn’t really do the book justice. Reading Geoff Manaugh’s interview of Lindsay (and also, Lindsay’s of Manaugh), puts the book in a new light and raises a whole variety of additional interpretations to Aerotropolis‘ main theories. 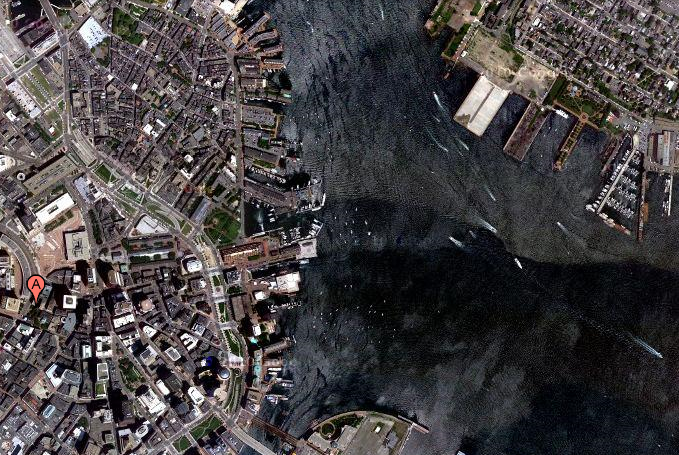 Historic Aerials is an site I just learned about. Think a historical Google Maps. 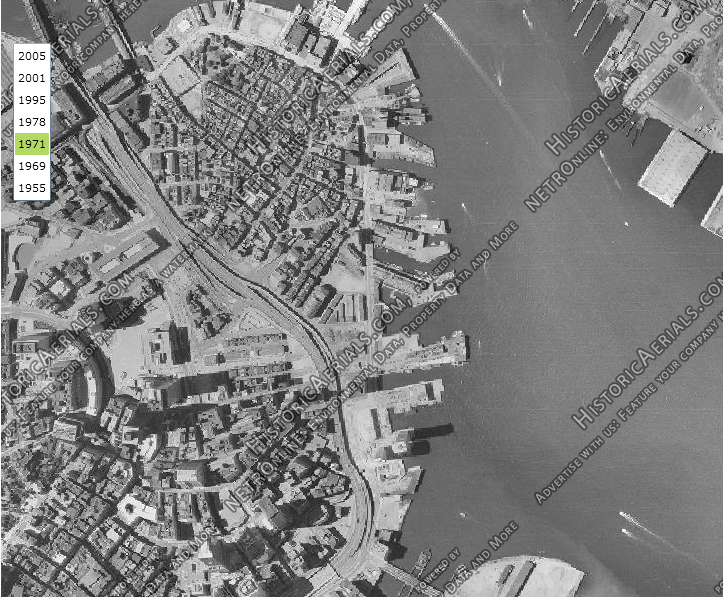 It’s a tremendous database of historical aerial photography, and potentially very useful for understanding how we got to just where we are. Post-Soviet development in the Moscow area? The growth and spread of Rio’s favelas? The fortification of borders, be they US-Mexican or Israeli-Palestinian? It’s an endlessly powerful and fascinating tool. I can’t wait to see Geoff Manaugh‘s take on it. You’ll certainly find something to explore. Joe Flood is perhaps the best possible name for the author of a book called The Fires. 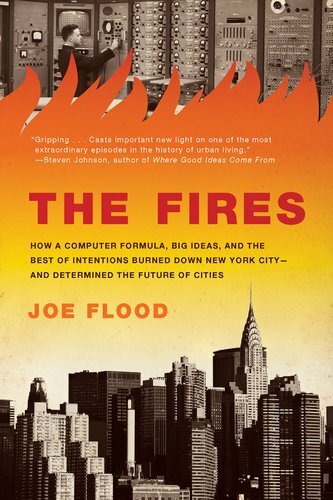 Or, more completely, The Fires: How a Computer Formula, Big Ideas, and the Best of Intentions Burned Down New York City-and Determined the Future of Cities. That title is a mouthful, but accurately reflects the amazing and diverse subtopics that Flood effortlessly moves back and forth across in explaining the rash of fires in 1970s New York and the decline of the Bronx. Starting with the machine politics of Tammany Hall and the various city departments’ resistance to reform, Flood traces the ascent of Fire Chief John O’Hagan, a unbelievably intelligent, young reformer in the FDNY with ideas of quantitative analysis in his head. 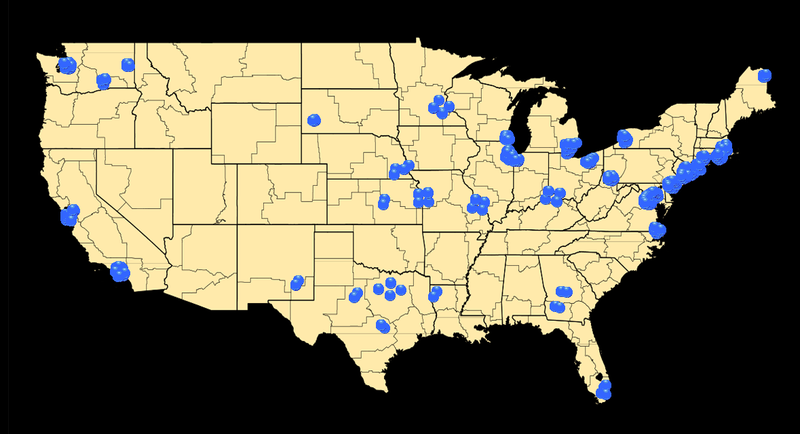 Flood explores the origins of systems analysis and operations research in World War II, and then follows the rise of the RAND Corporation through the early days of the Cold War, and the inexorable meetings between RAND, O’Hagan, and Mayor John Lindsay that led to a radical new firefighting regime citywide. Sophisticated computer modeling directed the closure of many fire stations throughout the South Bronx, which (unbeknown to me) had been an upscale, classy developed area mostly inhabited by Italians and Jews escaping the slums and tenements of the Lower East Side. As fire after fire engulfed the Bronx, and the fire department proved woefully inadequate at fighting them, a massive phase of white flight began to accelerate. Coupled with Robert Moses’ Cross-Bronx Expressway and Lindsay’s repeal of a city law requiring municipal employees to reside within city limits, the number of whites in the outer boroughs dropped dramatically as they fled to suburban Westchester County and across the river to New Jersey. Of course, there’s far more than even that to the story. Flood does an absolutely masterful job of weaving together all these disparate threads into a cohesive narrative. There’s Moses and his misguided plan for the Lower Manhattan Expressway (LoMEX), an eight-lane behemoth of an elevated highway that would have utterly destroyed Greenwich Village and much of the surrounding area. The Ford Motor Company and Robert McNamara make an appearance as early benefactors of RAND’s pioneering quantitative research. 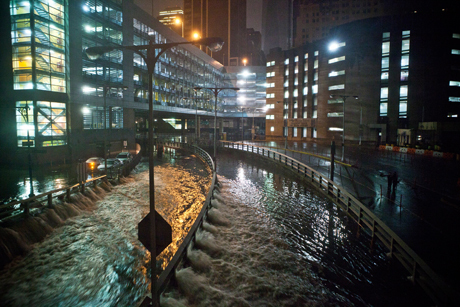 Flood also gives the rezoning of Manhattan that banished most industry and manufacturing a brief, if absolutely intriguing treatment. He excoriates the weak building codes that existed for much of the twentieth century, and the loophole of the World Trade Center’s construction by the Port Authority that allowed it to skirt New York City building codes. It’s hard to do The Fires justice. It is so far-reaching – but never over-reaching – that to describe all the different components of its narrative would be impossible without actually writing the book again. But in that sense, hopefully this represents a new trend in historical writing, a truly interdisciplinary effort that never seems to bog down. From sociology to politics to urban planning to history to engineering, Joe Flood just bounces around without getting distracted, but while conveying the sheer complexity of a series of events like this. There’s no single explanation; there are six or seven. It’s an impressive feat. While this book certainly is a “commercial” history (i.e. no footnotes), it has a wealth of information in the back anyways, using the page-number/quote-fragment system (on another note, does anyone know the actual term for this citation method). Much of Flood’s sourcing consists of personal interviews, giving him a truly first-hand perspective of the events he’s covering. The obscure documents he unearths in some instances also speak to his devotion to the subject. And I know that some of the random tangents he meanders down have given me ideas for a book of my own. If it’s any kind of testament to the quality of The Fires, not only did I buy it for myself, but I got my father a copy for Christmas. I would buy pretty much everyone a copy of this if they don’t already have it. The Fires is unequivocally recommended by me to anybody who can read. Buy The Fires: How a Computer Formula, Big Ideas, and the Best of Intentions Burned Down New York City-and Determined the Future of Cities at Amazon.com. Currently, most American military vehicles are equipped with remote optics systems, which are useful for urban fire fights at short ranges but do not offer the depth necessary to fight effectively in southwestern Afghanistan. However, tanks offer optics systems that dwarf the traditional capabilities of an infantry carrier…and, oh yeah, these days each tank can acquire targets clearly in excess of four times as far. There are an unbelievable number of problems facing aviation as used in urban warfare, be it counterinsurgency or conventional operations. Israel has begun to slightly shift the focus of even their conventional ops to a more population-centric (read: media-friendly) approach, but more air power is absolutely not the way to go about it. Even discriminate aerial bombing and air strikes pose a great risk of collateral damage, and most definitely does not look good on camera. While the RAF enjoyed great success up-country in the Aden Protectorate, both independent and in support of ground operations by both the FRA and the British Army, that success was useless when compared with the insurgency’s shift to urban centers, and when the political situation of Aden is taken into account. Both in terms of the use of airpower and the overall relevance of it, politics are hugely important. The potential fallout from misapplied air strikes and civilian casualties was and remains immense, as Britain learned to its detriment. Furthermore, even if airpower is used responsibly and with minimal collateral damage – such as during the Harib raid – interpretation is everything, and when Yemen claimed 25 civilian casualties resulting from the raid, Britain could neither prove nor disprove the figure, despite the near-certainty of its untruth. Obviously, the use of airpower both before and during the insurgency had to rely on precise targeting and weapons systems to avoid further alienating the local population and inflaming world opinion, but regardless of the truth, it was all too often that Britain found its reputation in tatters due to an air attack of any kind. So while the Israeli Air Force may indeed have improved its relative accuracy, it ultimately doesn’t matter. Air power, however skillfully employed, does not win hearts and minds. In Las Vegas, they’ve gone underground. Not in the “off-the-grid” sense, nor in any kind of futuristic post-apocalyptic-themed bunker casino (an idea that I have just now patented), but in an actual we’ve-lost-our-homes-and-live-in-a-tunnel way. An entrance to the tunnels underneath Las Vegas, Nevada. The population is estimated to be over 1,000. People who have lost their homes and their livelihoods have instead converted the tunnels – both flooded and dry – into their homes, milk crates to keep their things out of the water. The furniture all comes second-hand; they look for new things at night, to avoid unwanted attention – “it’s kind of embarrassing”. Steven and Kathryn's 400 sq. ft. "bungalow," deep beneath Las Vegas. With the $13-plus trillion we are estimated to ultimately spend on the bailouts, we could not only have bought and paid off every single subprime mortgage in the country (that would only have cost $1.4 trillion), we could have paid off every remaining mortgage of any kind in this country-and still have had enough money left over to buy a new house for every American who does not already have one. It’s an unintentional hackerspace – a separation from everyday life borne of necessity, not desire – but nevertheless it achieves some sort of independence. Can this be taken further? Can our underground and derelict spaces be reused for isolated groups and others who just want to be left alone? Are subterranean environments appropriate for sustained living? Let’s see how long these tunnel folks can go unmolested by the law first. Meanwhile, in Germany, the “House of Contamination” art exhibit accidentally mocks this way of living. 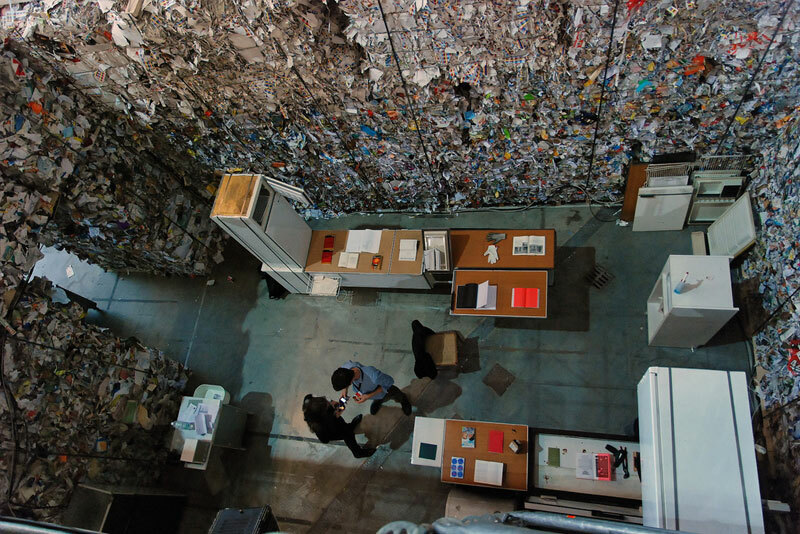 An aerial shot of a room in the “House of Contamination” installation. A “life-size maquette of a cultural centre that facilitates cross-fertilisation between the arts?” No, an all-too real representation of modern low living. Perhaps if “House of Contamination” was trying to make a larger socio-economic point. But it appears to just be ‘slumming it’. Read some damn Scalzi.